I’m blessed and honored to have lived in an era when so many great men and women have walked this earth. They are people who have taken risks, and sacrificed everything, sometimes their basic comforts, sometimes their families and sometimes their lives for the greater good. I don’t know what makes one person upset about injustice and another so outraged that they make it their life’s mission to right a wrong. From the moment I saw him back in the mid 90s, I knew I was in the presence of real greatness and I knew that the day was coming when I would be paying this kind of tribute to him. I had no idea it would be almost 20 years later. I’m amazed that a man who had been through so much and in such inhumane conditions could still have so much left to give to humanity. But he had work to do, and he didn’t stop until he couldn’t do anymore. I never got a chance to sit down and have a one-on-one with President Mandela. I was in a receiving line at the White House with hundreds of people, but when looked in his eyes, that moment was special for me. In those three-second, I saw the 27 years he lived on that island. In that instant he went from being a symbol and a legend to man who cared about others more than he cared about himself. A man who whether he was confined in his small cell on Robben Island or being honored at the White House, never wavered on his commitment to battle injustice. I have a framed autographed picture of him that I bought at an auction. It’s the first thing I see when I leave my house and the first thing I see when I come home. And now, I ask you and myself, what will you live for? What will you stand for? What will you fight for? What will you die for? As the world recognizes the passing of Nelson Mandela, the tributes narrate how this former South African president’s life changed the world. Superlatives such as courageous, brave, passionate, compassionate, intelligent, and inspirational have all been used to describe Nelson Mandela’s life, but there was one statement that caught my attention. One tribute suggested that “there will never be another Nelson Mandela”. And that is true; there never will be because that is how the Creator planned it. When Nelson Mandela was born into his earthly existence, the plan of what his life would become was already in place. Though challenged with obstacles that would crumble most, Mandela was given a strength that allowed him to endure. The impact he had on the world for his 95 years is exactly what the Creator planned. And so, the passing of President Mandela should prompt each if us to seek the purpose that the Creator has planned for us. Your purpose may not have world-wide ramifications, but it might make your family better. It might make your neighborhood or community better. What you do may inspire others, young or old, to be all that they can be. Connect with the Creator to find your purpose; then rely on the strength given to you by the Creator to fulfill your purpose, because there will never be another you. Church of Jesus Christ of Latter-day Saints ( Mormon Church) astounds many in long awaited admission on race. The Hart,Mind and Man of Nelson Mandela’s existence was given to us in this world from OUR HEAVENLY FATHER! His example of Unconditional Love for all people is from the Nature of Our Heavenly Father who he believed in completely! Nelson Mandela understood that the eternal existence of LOVE which many of our leaders of Love who passed through this world, MLK,JFK and countless more who you’ve known over the ages. Offered us the opportunity to believe and accept the the WORD spoken into existence by OUR HEAVENLY FATHER & SON! How many times will we get from Our Heavenly Father or will we have left to open our minds/harts to truly embrace the nature of Love from these LOVE LEADERS sent to this world buy the FATHER! We just can’t seem to get it!! True Forgiveness is True Love which can only come from the true nature of Our Heavenly Father! Everybody in the world does belong to HIM he created ALL and LOVES us the way he made us ALL! THE HEAVENLY FATHER IS ALWAYS THERE! Where are YOU?? NELSON MANDELA – THE GREATEST SUPERHERO OF ALL! If Black America had a tiny fraction of Mandela’s Genuine Spirit and Persona – Some black people would NOT BE brutally killing each other on the streets for worthless material things… Some black people would NOT BE raising thuggish & uncivilized children that enjoy playing knockout games, wearing their pants too low, & believing that going to jail is cool… Some black people would NOT BE participating in television reality shows that illustrates an ugly portrayal of themselves (“Atlanta Housewives” & “LA Preachers”)… Some black people would NOT BE degrading women in gangsta rap music & videos… Some black people would NOT BE disrespecting their elders in the homes & in public… And finally, some black people would NOT defend the use of the “N” Word as something positive (Other people can’t say it, but we can, what!?!?! )… May you continue to smile upon us and encourage black america from Heaven Nelson Mandela, GOD knows we need it. Where is the family? The outrage that made us link arm an arm until justice prevailed? ?you have encompassed all I could’ve said thank you ! 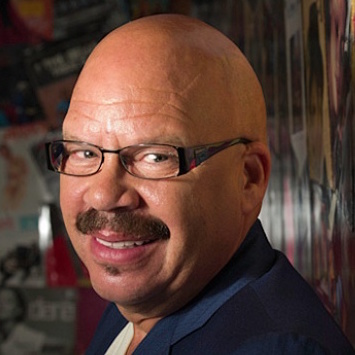 Very well stated Tom Joyner!! What a great example of unselfish living Pres. Mandela gave us. RIP.Job well done.